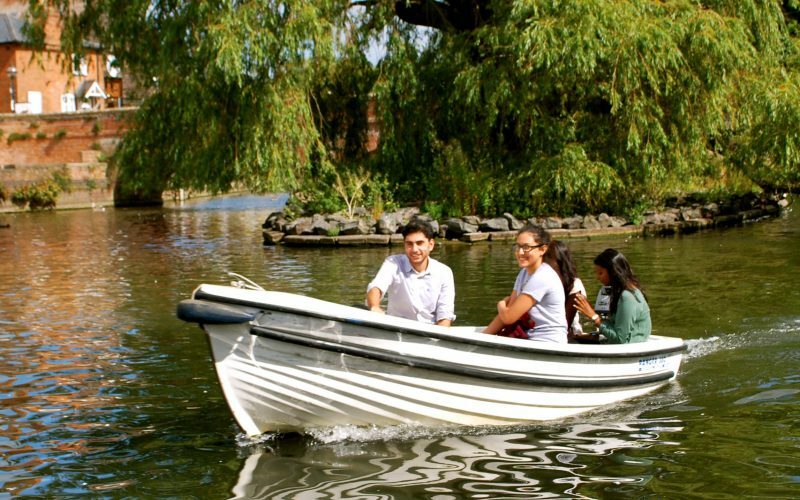 Rowing Boats, Self Drive Motor Boats, Punts and Canoes are available for hire from our Boathouse in Swan’s Nest Lane. 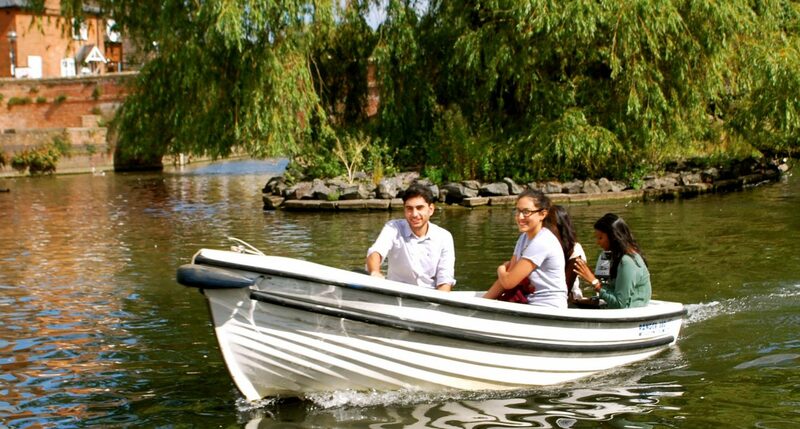 In our hire boats you can explore over 3 miles of peaceful river, enjoy a quiet picnic under the willows or simply laze on the river and have fun. Single rowers seat a maximum of four and double rowers seat a maximum of six. 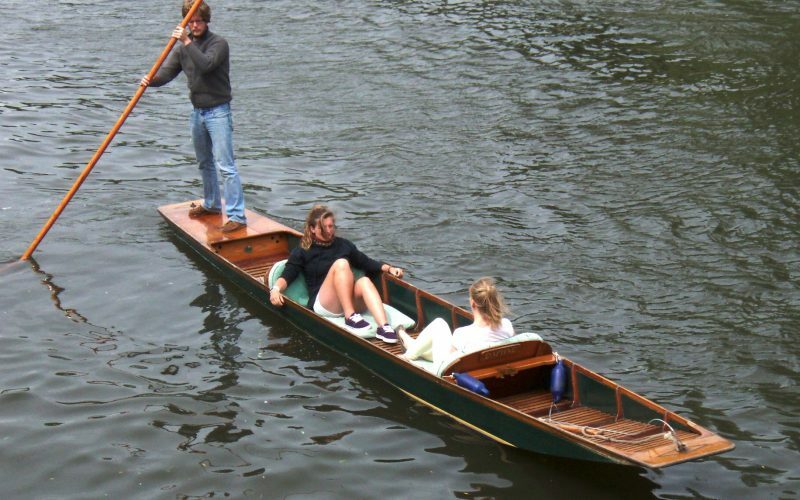 Traditional English punts, seats up to maximum of six passengers. Chauffeur service available on request. 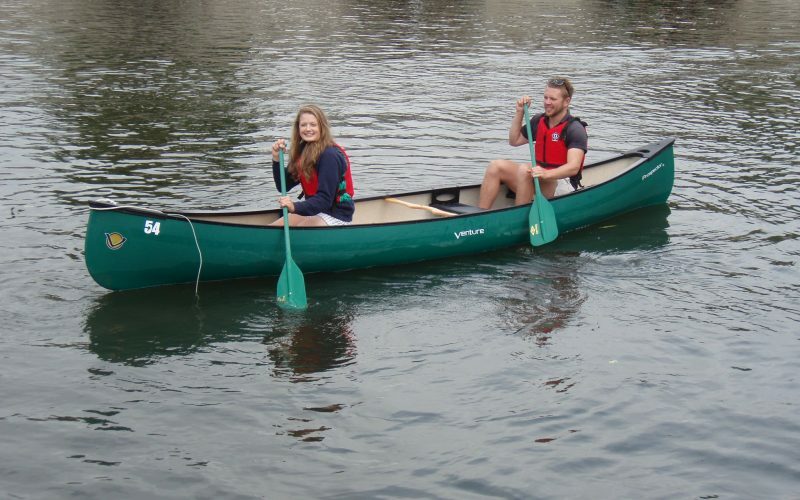 Canadian canoes. Light and easy to handle, able to seat up to two adults plus one child. 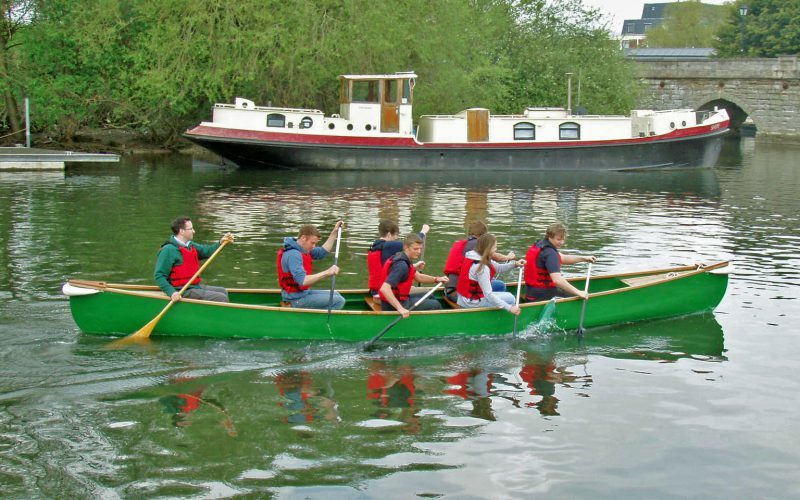 Big canoe for all the family. 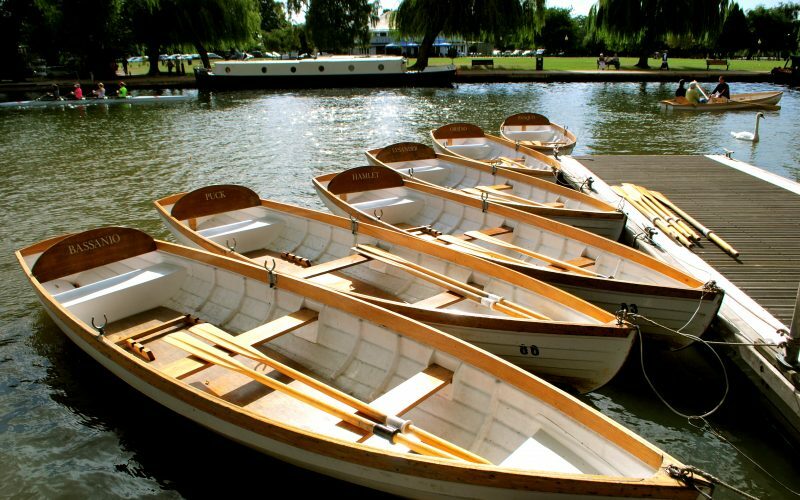 Seats a maximum of eight and as stable as a rowing boat. Seat a maximum of five. Very stable and easy to drive. Seats a maximum of six. 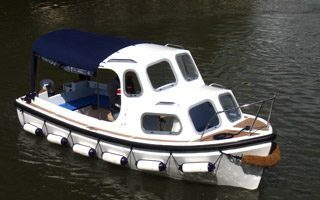 Spacious boat for longer hire. Children must be accompanied by someone who is at least 16 years old. All children under the age of 16, non-swimmers and those with reduced mobility must wear a lifejacket, which will be supplied free of charge. Lifejackets and buoyancy aids are freely available to all who wish to have them. We are now closed for the winter, but will be returning in March 2019 ready for another brilliant summer. Mid March to end of October, 9am until 5.30pm, 7 Days a Week. We do operate later closing times during the peak of the season, but this is dependent on weather and demand. Please call us for further information.